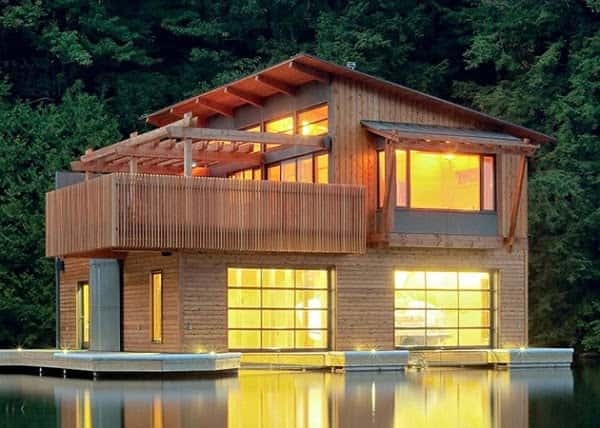 This awesome boathouse is located in Ontario, Canada. A beautiful place to escape from the hustle of a busy lifestyle. 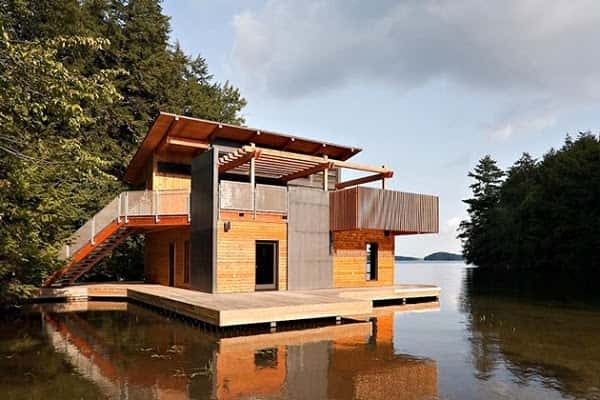 This outstanding Muskoka Lakes Boathouse was designed by Christopher Simmonds. 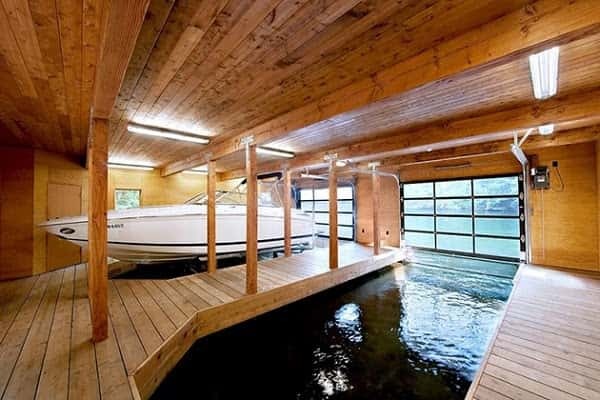 It has enough garage space to fit two speed boats and an amazingly luxurious interior. It once measured only six hundred square feet but thanks to renovations it has been transformed into a fantastic, spacious get away. 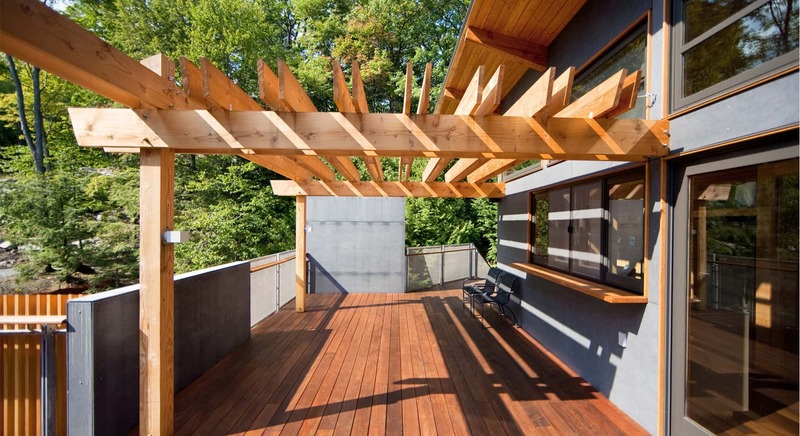 Christopher Simmonds has done a wonderful job designing the renovations and the result is breathtaking. 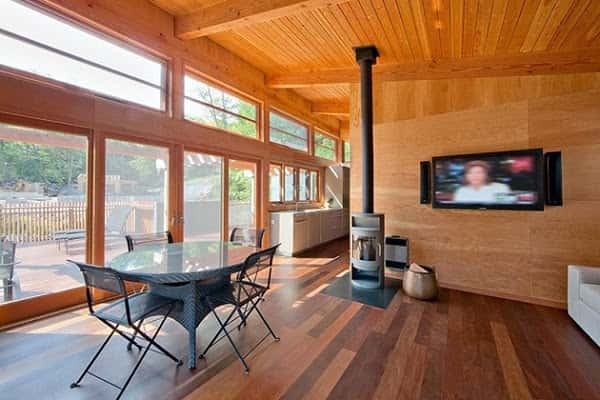 Inside the boathouse there is a fully equipped kitchen, a spacious living area, a balcony and a great fireplace. 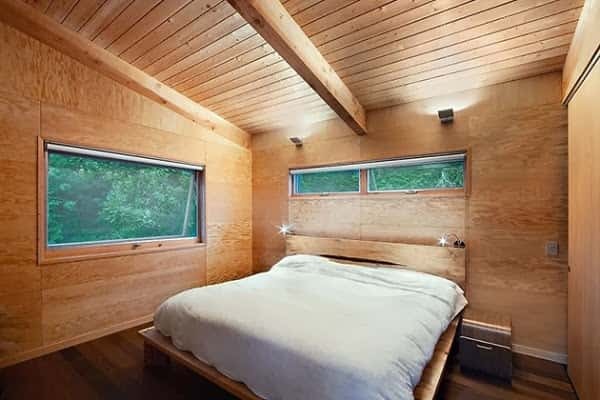 It contains modern conveniences such as a flat screen television and a fully equipped bathroom. Definitely a home away from home. 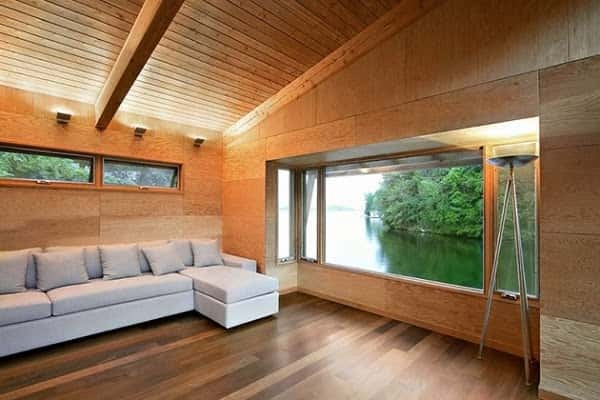 The serenity of the surrounding area is invited in by the well placed windows. 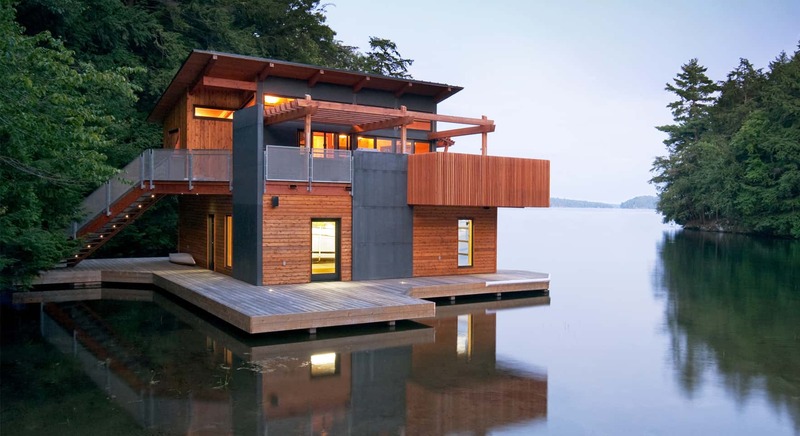 A divine example of architecture at it's best.